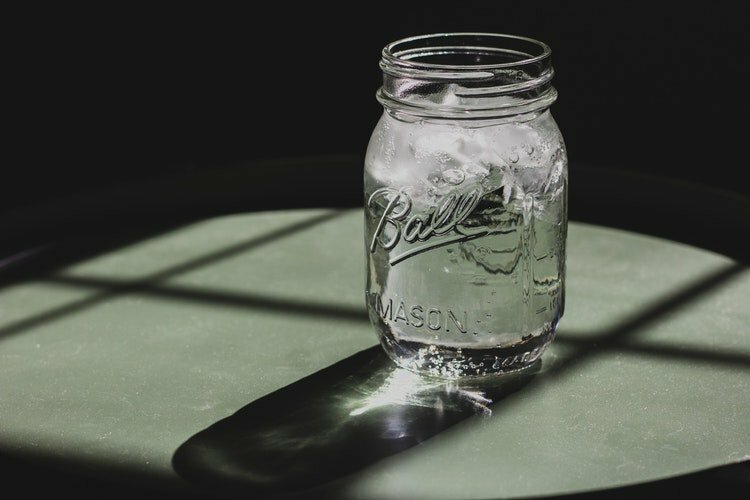 You’ve likely heard the term tossed around in your lifetime, but how many of us have the slightest clue what “hard water” really is or what kind of effect it has on us or are homes? We’re envisioning only a small number of hands currently raised in the audience, which means that this is a great chance to address this nuisance of society (When we say society, we don’t just mean modern society. Even the Romans dealt with hard water; they performed regular maintenance on Roman aqueducts to remove the accumulating deposits that hindered water flow). Hard water is a naturally occurring geological process characterized by the presence of the materials calcium and magnesium in our water. Hard water begins as rainwater, becomes groundwater, then filters through limestone, soil, lakes, and rivers. Along the way, the water picks up like calcium, magnesium, iron, and other elements. There have been a plethora of studies performed over the years on the effects of hard water. As one would expect, there are differing opinions on those effects. The consensus is as follows: There are no serious harmful effects of consuming or interacting with hard water. But the word “serious” is interesting in that sentence. When it comes to hard water, multiple people will define “serious” quite differently. Skin – The minerals in hard water have a chemical reaction with soap, which makes it more difficult for soap and shampoo to dissolve. The result is soap scum, a nightmare not just for showers, but also skin. That scummy residue blocks pores, choking off the skin’s natural moisture and oils. Irritation follows, and with it, itchy, dry, and flaky skin. And, if individuals already have pre-existing skin problems like psoriasis or eczema, research suggests that they’ll be further irritated by hard water. Hardwater is an equal opportunity nuisance, and its effects go beyond wrecking your hair and making your skin feel like sandpaper. Anything in your home that deals with water can turn into a scummy, scaly victim. As you know, the minerals in hard water interact chemically with soap, the result of which is “scale” or calcium deposits. Scale is the chalky, off-white substance that remains after the water in your shower has evaporated. You’ll notice the appearance of rampant scale and soap scum more often than you should, meaning that you’ll find yourself in your bathroom or kitchen frequently throwing elbow grease at the problem. Scale makes messy nightmares of bathtubs, showers, tiles, and fixtures. In the kitchen, hard water deposits produce a spotty and dingy look that appears on drinking glasses, pots, pans, dishes, and silverware. And soap isn’t always necessary to see the effects of hard water. Combine a runny toilet or a dripping faucet with hard water and you’re in for some unsightly rust stains. The water-related technology in your home also pays the price. Hard water wears out and reduces the efficiency of dishwashers, icemakers, washing machines, and water heaters. And through the gradual buildup of mineral sediments, less water flows through these machines. Professionals estimate that these machines wear out 30% faster, prompting replacement before necessary. But what about the piping running water into those machines? Your homes pipes are one of the hardest hit aspects of hard water. Scale builds up inside the pipes over time, eventually choking off the flow of water, which opens the door to a host of serious and expensive plumbing issues. Laundry – Washing clothes in hard water is less than optimal. It’s difficult for soap and clothing to properly interact due to the added minerals in the water. Hard water decreases detergent’s lathering ability and makes it less likely that detergent will properly wash away. As a result, residue accumulates on clothing the same way soap scum accumulates on skin and shower surfaces. Freshness, softness, fragrance are all sacrificed in addition to appearance: washing over time results in a gray/yellowish tint that robs clothes of brightness. And it’s even worse for towels. How Can You Fix Hard Water? The first step is to address how “hard” the water is, which you can discover by purchasing one of the DIY kits on the market. If you discover that the problem is substantial, look into the various filtration systems available to consumers. For drinking and cooking purposes, consider installing an ion exchange filter, either a pitcher or faucet model (experts recommend that you look for a model that allows you to switch between filtered and nonfiltered water. Ion filtered water doesn’t work as well for plant watering, for example, because of the high sodium content). When it comes to laundry, you can purchase non-precipitating water condition, which arrests the minerals in hard water, prevents the minerals from interacting with soap and clothing, and allows detergent to function properly. For your entire home, there are several methodologies from which to choose. The technology behind how these options work can get a little sticky, so we’ll give you a brief overview which you can use as a springboard into conducting your own research. The main options are salt-based water softeners, salt-free softeners, and filters. Salt-based models are better at providing the real, slick feeling of natural water. With no salt present, calcium and magnesium are not removed or washed out. These methods can also be used on a smaller scale on specific faucets and incoming pipes. Finally, as you research the best method for you, consider cost, maintenance, and installation. Hard water creates serious problems for millions of Americans. Luckily, there are ways to curtail its effects, reducing it from a major problem to a minor inconvenience. If you’re experiencing some of the harmful effects of hard water and it’s ruining items in your home like your pipes, faucets, and water heater, call the Arco team. Whether replacing damaged parts or giving you the best advice to help you work through your problem, we’ve got your back.